MOSCOW (UrduPoint News / Sputnik - 15th April, 2019) Boeing's astronaut Christopher Ferguson, who is expected to travel to the International Space Station (ISS) aboard the Starliner spacecraft in November, has begun his preparations for the flight at Russia's Gagarin Research & Test Cosmonaut Training Center (GCTC) in the Moscow Region, the GCTC said on Monday. "Boeing's astronaut Christopher Ferguson was introduced today to the center's management and staff. The astronaut is currently preparing for a test space flight toward the ISS as a crew member of Boeing's Starliner spacecraft," the GCTC said. Ferguson's training at the GCTC is expected to last one week. During the preparation, he will study the design and layout of the Russian segment of the ISS. The astronaut will also be briefed on actions the ISS crew must follow in case of emergency. Ferguson, who went to space three times, is currently the director of crew and mission operations for Boeing's Commercial Crew Space Transportation (CST)-100 Starliner program. On April 1, the GCTC said that NASA astronauts, Michael Fincke and Nicole Mann, who alongside Ferguson would carry out manned space flight on board the Starliner spacecraft, had began their preparations at the center. According to NASA, Starliner's unmanned mission is scheduled to be launched in August. Meanwhile, Starliner's manned mission was initially scheduled for August but was then postponed until November. 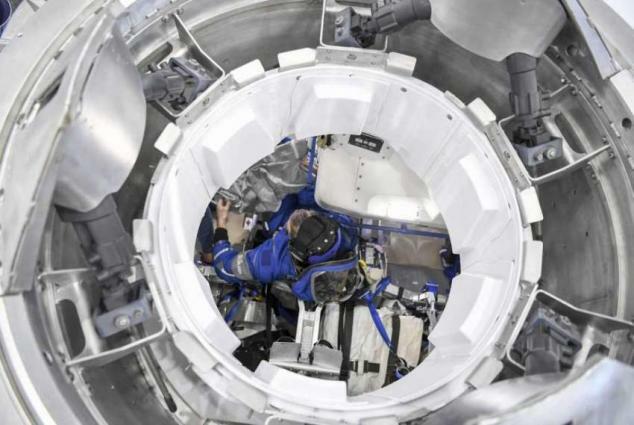 The company has also revealed its plans to increase the duration of Starliner's first manned flight to the ISS but provided no further details. Once the test flights are completed, NASA will certify the Starliner for regular flights to the ISS. Boeing's Starliner spacecraft was developed under a $4.2 billion contract that the aerospace giant signed with NASA in 2014.